The ANER BRADLEY House, Silversmith, Circa 1778! Historical home in the Taft School area of Watertown. 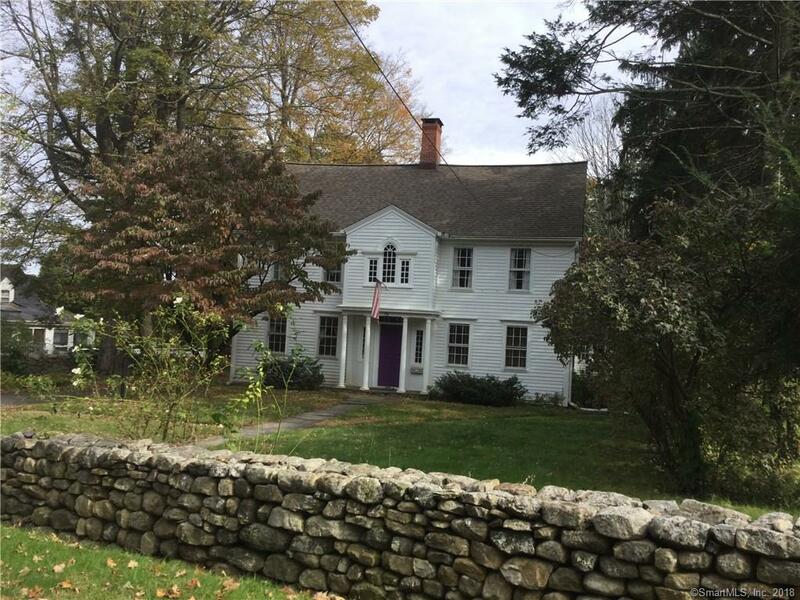 This Colonial Revival style was restored in 1946. Wide plank wood floors throughout, many built ins and beautiful moldings and History throughout! First floor boasts Formal dining room with built ins, Formal living room with fire place, Family room with fireplace and French doors leading to Library/Office. Second floor hosts the Master Bedroom with 8X8 dressing room/walk in closet. Three additional bedrooms on upper level, 8X4 Seasonal Closet, Nursery, and possible 4th bedroom. Front staircase has a gorgeous sitting area with decorative windows in front of house. Rear staircase leads to eat in kitchen which overlooks the generous rear yard. 2 car Detached garage. Walk to town, a few steps to bus line and The Taft School only steps away! Call today to take a peek back in time!